Metro Pro Wrestling – Show 077 – Steven J. Girthy introduces his running mate. Is NWA World Champion Adam Pearce’s “Last Ride” tour about to come to a screeching halt due to “The Belt Collector” Jeremy Wyatt? NWA World Champion Adam Pearce’s t-shirt as he makes his world tour. The prestigious NWA World title returns to where it all began as the NWA World Champion Adam Pearce comes to Des Moines, Iowa on January 27th in action at the 2-time MWR promotion of the Year 3XWrestling. 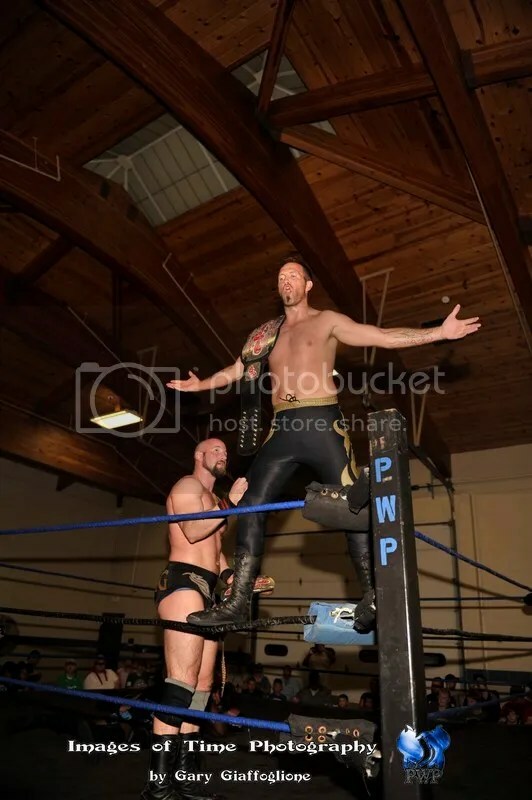 Adam Pearce has been the NWA World Champion since July 31st when he won the NWA World Heavyweight Championship for the fourth time by defeating Chance Prophet, Jimmy Rave and Shaun Tempers in a four-way match to win the vacant title. It’s a shame that Pearce, a veteran of the sport for over 16 years has never received the just do that the man of his talents deserves. While the NWA title and the organization thrived for years under the management of the likes of Sam Muchnick, times have changed and the NWA has seen dark days for the type of wrestling that made me a fan of the sport. With his years of experience in the ring and a desire to bring back the glory of the NWA World Title Adam Pearce has embarked on what he calls his “Last Ride tour”. 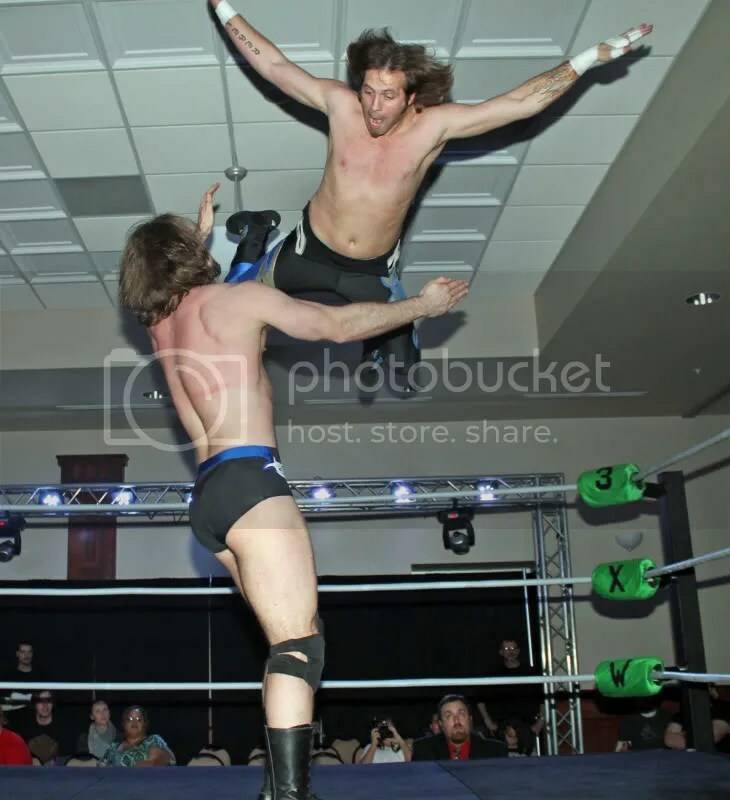 His last trip to the Midwest was memorable to say the least as he made his way to Kansas City for Metro Pro Wrestling. 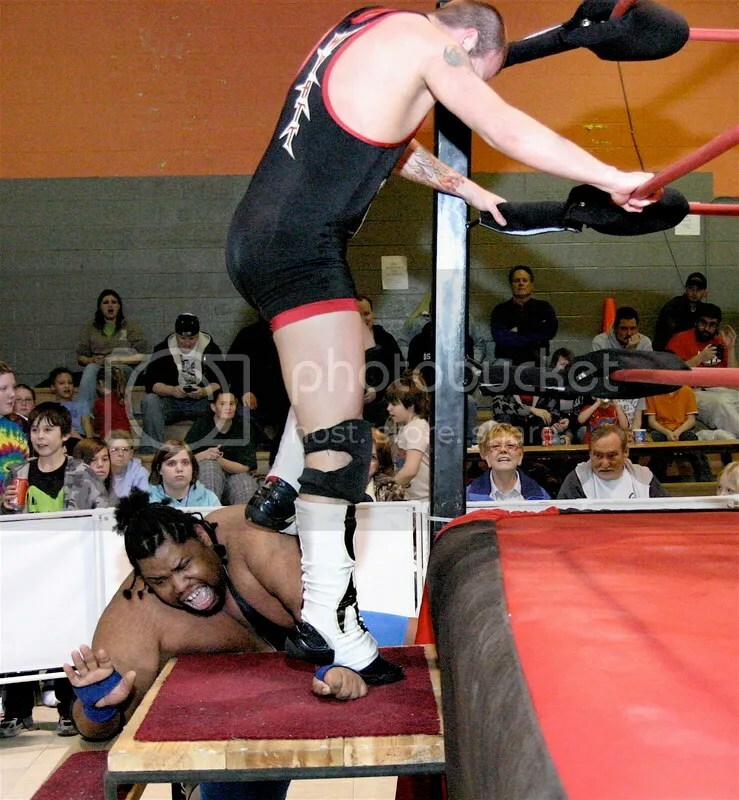 The Challenger was Michael Strider, the setting a packed house at the Turner Rec Center on November 5th, 2011. 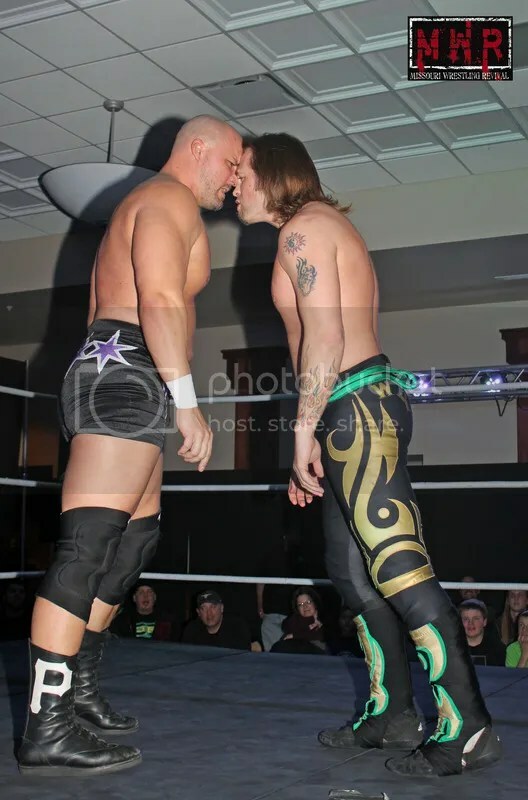 Yet, it would be a classic matchup in the main event as Strider looked to have earned his boyhood dream to become the NWA World Champion when he pinned Pearce as referee Michael Crase Jr. counted 1-2-3. While Strider went to celebrate with his fans and father, out to the ring came MPW commissioner Matt Murphy. Murphy claimed that Pearce’s feet were on the bottom of the ropes as Crase Jr. made the final third count to the mat. Strider unwisely would make the decision to not take the title that way and agreed to have the match continue. 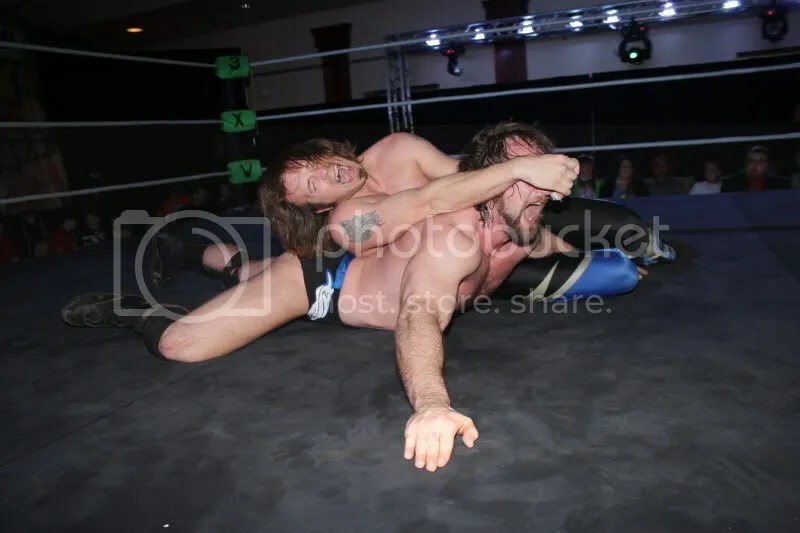 It would be minutes later that Pearce would benefit a little assistance from Murphy when he tripped Strider, allowing Pearce to strike and use a roll up with his feet on the ropes to retain the title. The next day I would travel to Collinsville, Illinois to cover Ring of Honor where fans came up to me, asking if in fact Michael Strider had become the NWA Worlds Heavyweight Champion as they had seen on the NWA website, then was deleted as the NWA webmaster caught word of what had occurred. 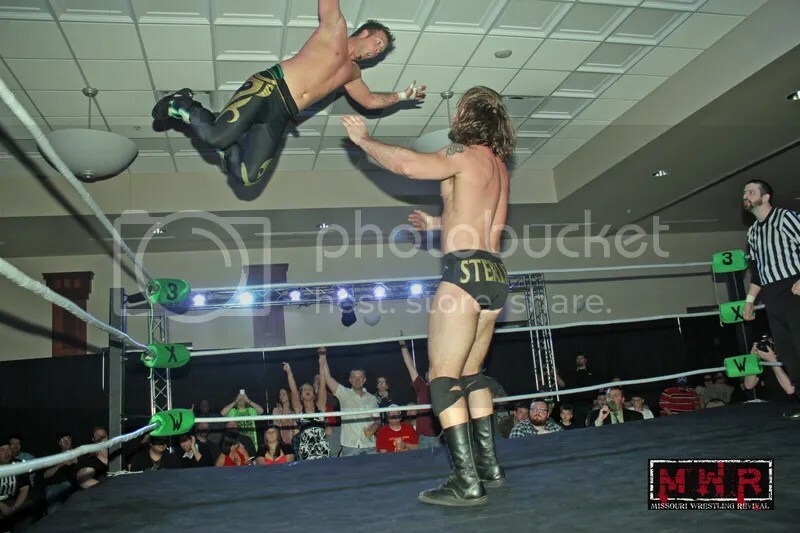 Unfortunately, I had to deliver the bad news that Pearce along with Murphy had stolen the Worlds Championship from the former NWA Central States Champion Strider. Little did we know how someone’s missed opportunities would allow Wyatt to get his wish at the NWA world title. Fast forward to the final show of the year at 3Xrestling on December 30th. 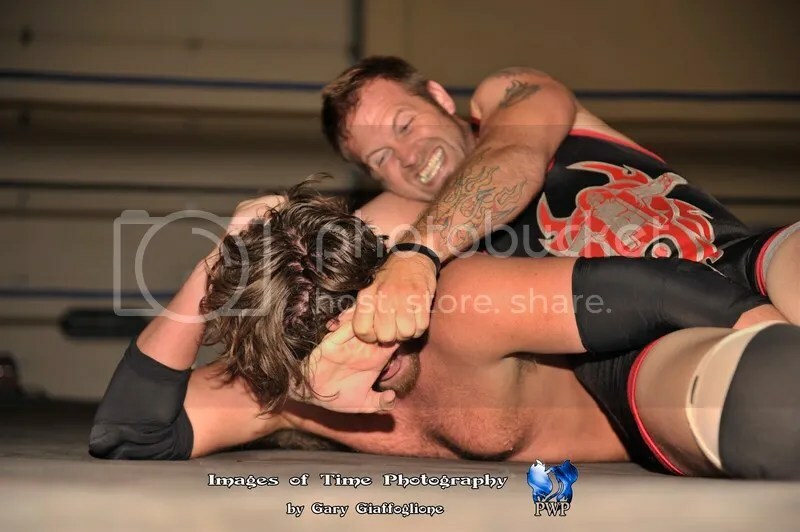 3XWrestling Champion Jeremy Wyatt loses a close match against Mark Sterling after the “Iron Man” used the ringside bell to help Sterling began his first 3XWrestling title reign. In the locker room, 3XWrestling camera’s captured Todd Countryman offering Sterling the contract. Let’s watch this once more to see how Wyatt and not Sterling received this dream match against the World Champion Adam Pearce. So mark your calendars, ask for the day off, and make your way to Des Moines, Iowa at ALL PLAY as the Champion of the World Adam Pearce comes to defend his title against the 2-time 3XW Champion Wyatt. 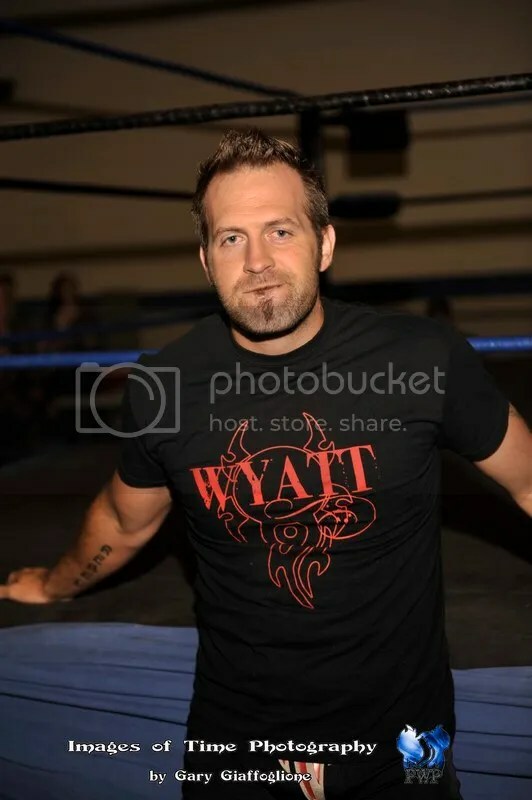 Wyatt is currently the NWA Central States Champion and only the 3rd man in the history of the NWA to hold both the NWA Central States and the NWA Missouri title (He did this last year, Harley Race and Bob Orton being the other two men) Jeremy Wyatt. 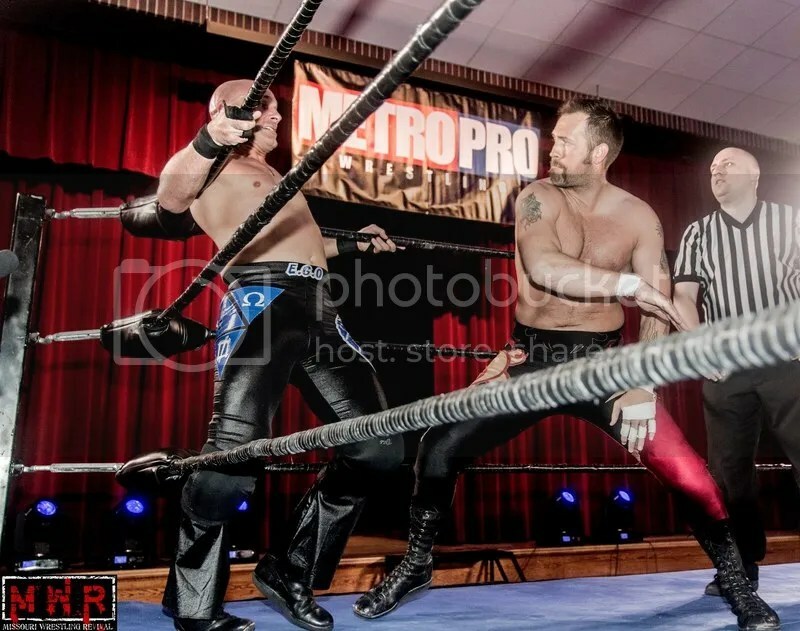 Though Adam Pearce used some underhand tactics to defeat Strider at Metro Pro Wrestling, make no doubt about it that he can defeat Wyatt in many many ways. 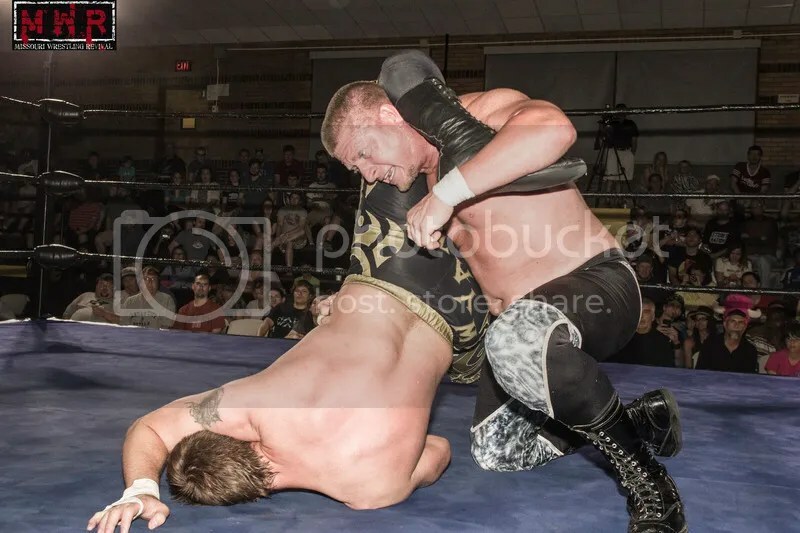 Pearce in the past has successfully defended the NWA World Heavyweight Championship against Bryan Danielson (WWE’S Daniel Bryan, the reigning World Heavyweight Champion) and Danielson is just one name on a list of victims. 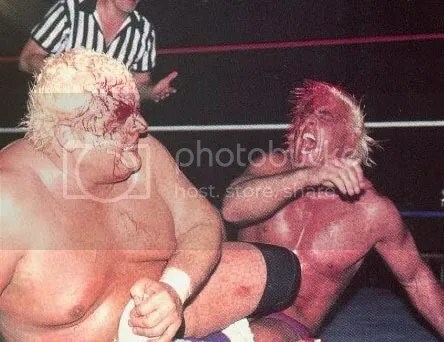 From the Apr '09 edition of Pro Wrestling Illustrated; Pearce bludgeons perhaps his greatest opponent, a bloody Brent Albright, in New York City. Pearce brings the ring an old school high impact attack, standing 6’2, 245 pounds he will unleash a fury of moves including the Figure four leglock, Flying fist drop, and the Middle-rope elbow drop setting his opponents up for The Rack Bomb (Backbreaker rack dropped into a powerbomb) or the vicious Jumping piledriver to retain the title. Quite honestly, after hours of studying tape of Pearce in action, you can see many of his opponents in fear of those finishers from the start of the match. 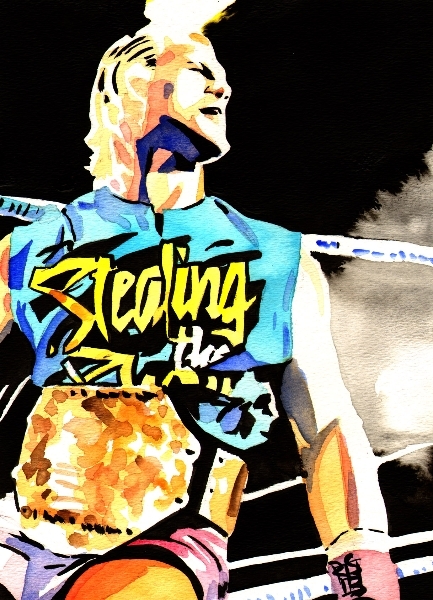 One man who will not have fear in his eyes is the “The Belt Collector” Jeremy Wyatt. Wyatt considered by many to be the best wrestler in the Midwest, has been dying for this opportunity to make a name for himself. He knows that opportunities likes these are very rare for wrestlers in the area. Quite possibly the most hated man in the Midwest, 3XWrestling fans have come to love him for his multiple matches of the year and giving a 110% during every match. 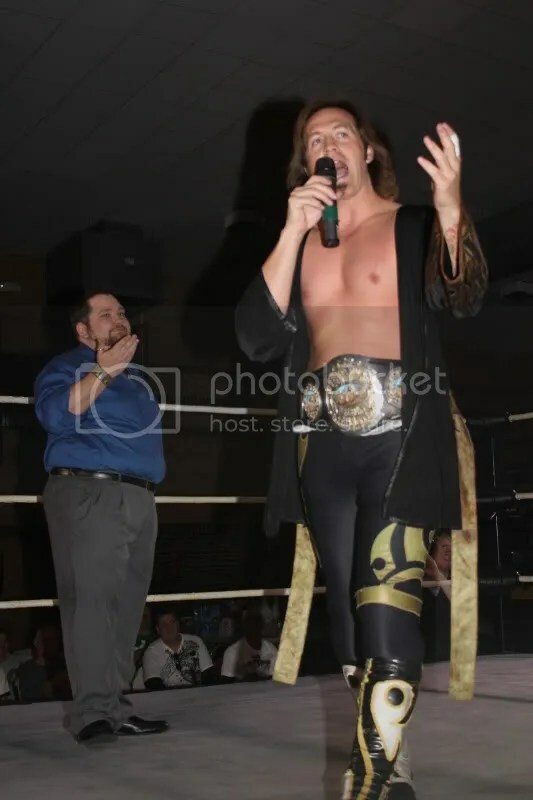 Wyatt most likely will be the first to tell you he is not doing this for the fans, yet he is the fans best chance to bring back the NWA Worlds title back home to the Midwest. Pearce, a fighting champion will be around the world in Oberhausen, Germany defending the title a week prior to his return to the Midwest. Fans in Iowa can prepare for a double shot starting off with match against Wyatt at 3XW then heading to Council Bluffs, Iowa for Magnum Pro Wrestling to take on “ Babyface” Tony Cortez the very next night. With one Lighting Spiral from Wyatt on January 27th at 3XWrestling, the NWA president Robert Trobich and Magnum Pro may be scrambling late Friday night to come up with a plan to resign a rematch against the NEW NWA World Champion Jeremy Wyatt and Adam Pearce immediately. 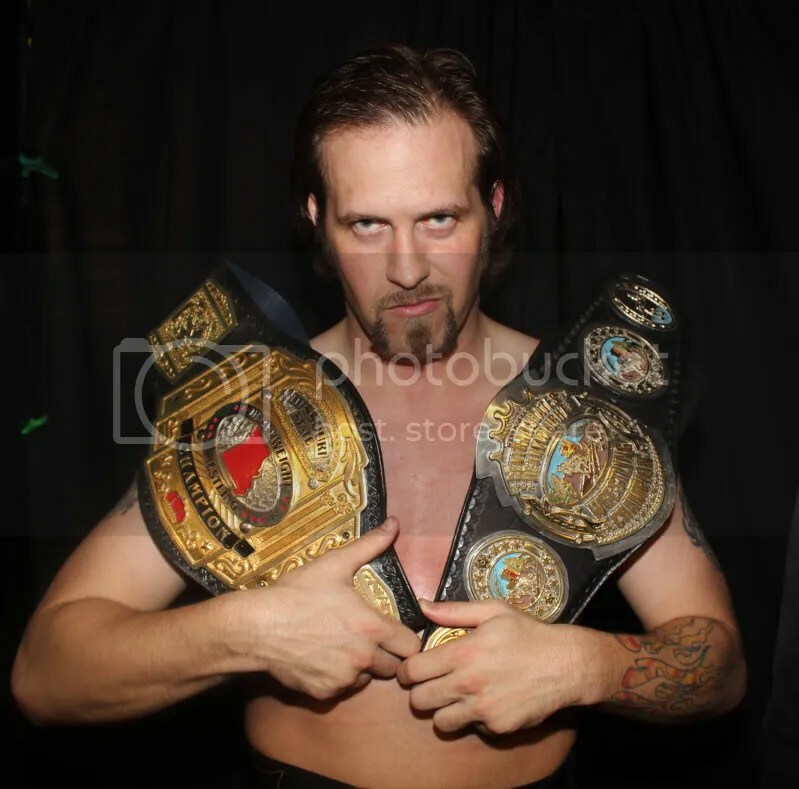 When it is all said and done, I want the NWA and Adam Pearce don’t say that Missouri Wrestling Revival didn’t try to warn you of “The Belt Collector”. Great NWA world title moments in the Midwest. 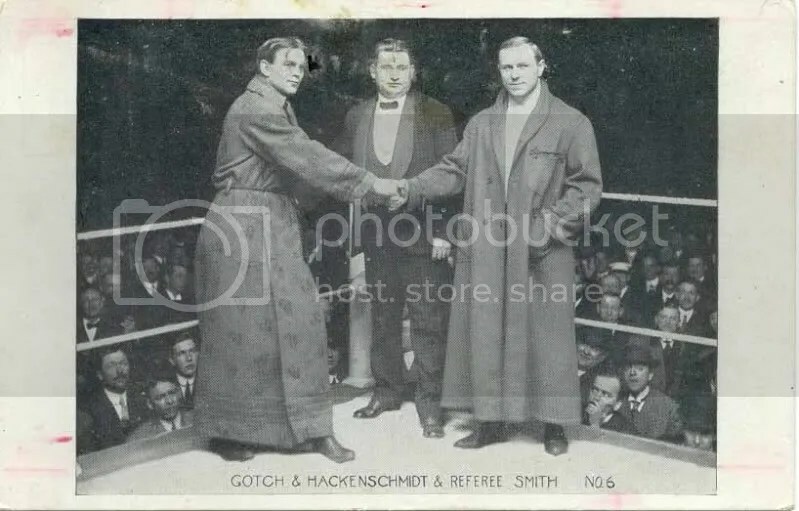 April 3, 1908-Frank Gotch defeats George Hackenschmidt to become the world champion in Chicago, Illinois. 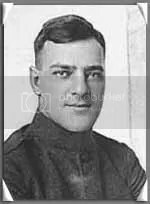 April 19, 1917 Earl Caddock defeated Joe Stecher to become the world champion in Omaha, Nebraska. Earl Caddock was not only a world champion but also enlisted in the Army to serve our country. Fans be sure to pick up the new book from Mike Chapman called Caddock “Walnut’s Wrestling Wonder” on one of the best wrestlers to ever come from the Midwest. For more info on how to purchase the book click here. March 3, 1922 Ed “Strangler” Lewis defeated Stanislaus Zbyszko to become the world champion in Wichita, Kansas. 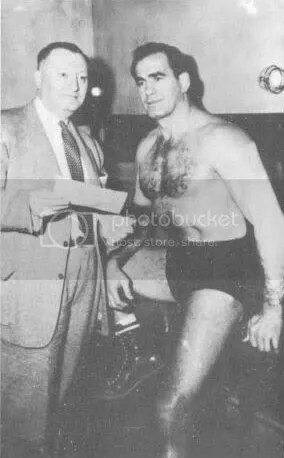 Here is a great photo of two of the most powerful, respected and important men in the history of wrestling, Sam Muchnick and Lou Thesz. December 29, 1937 Lou Thesz defeats Everett Marshall in the first of his six NWA world titles in ST Louis, Missouri. June 30, 1961 Buddy Rogers defeats Pat O’Connor to win his first NWA world title in Chicago Illinois. I love this photo of Harley Race. Arguably the greatest NWA World champion of all time. May 24, 1973 Harley Race defeats Dory Funk Jr. to win first of 8 NWA world titles in Kansas City, Missouri. Match named Pro Wrestling Illustrated match of the year. Ric Flair would capture his first NWA World title right here in the Midwest in what many called an upset at the time. September 17, 1981 Ric Flair defeats Dusty Rhodes to win first of 9 NWA world titles in Kansas City, Missouri. 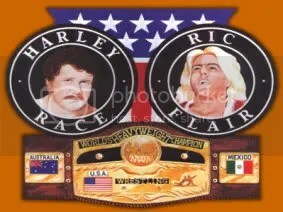 June 10, 1983 Harley Race defeats Ric Flair for the NWA world title to set up Starcade. Match named Pro Wrestling Illustrated match of the year. Information of the NWA world title courtesy of the 16th edition of the PWI Wrestling Almanac. Could Jeremy Wyatt be defending the NWA WORLD TITLE at these MWR Promotions after January 27th? MWR fans for a great source of the NWA check out the Alliance-Wrestling.com here. Does Steven J Girthy have Jeremy Wyatt poised to become the NWA Champion of the World on Nov 5th at Metro Pro Wrestling ? To many in the Midwest he is the most hated man in wrestling today; to his opponents he is their worst nightmare. His name is Jeremy Wyatt; pro wrestling’s greatest secret , has wrestled one great match after another from Des Moines, Iowa to ST Louis, Missouri and in every town in Illinois and back in his hometown of Kansas City, Missouri. In the past Wyatt has earned the nickname “The belt collector” for his ability to capture title after title in multiple promotions against the very best. Wyatt would become the first man to be named the MWR Wrestler of the Year and has won three consecutive matches of the years with three different opponents Michael Strider, Tyler Cook and Tyler Black respectably. Wyatt has mixed it up with the top names in the sport including the current Ring of Honor World Champion Davey Richards, Former TNA World Champion Samoa Joe, the former ROH World Champion Jerry Lynn, Christopher Daniels, Jimmy Jacobs, Al Snow and Road Dogg Jesse James to name just a few. Still al the wins, belts, awards and great matches have not brought Wyatt to the forefront of the wrestling world. Is that about to change?? 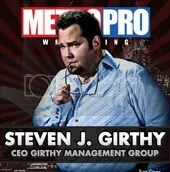 This past weekend the top wrestling manager in the Midwest Steven J Girthy set the wheels in motion at Metro Pro Wrestling to gain momentum to become the NWA World Champion. When It was announced that the former NWA World Heavyweight Champion Colt “Boom Boom” Cabana would be making his way to MPW, could the man that Cabana called “Porky Pig” of been masterfully setting his man up for a NWA World Title match against Adam Pearce? While Cabana entertained the crowd from bell to bell with his masterful wrestling skills and silly antics, Wyatt And Girthy were at were at there very best and they had to be, Cabana has been to the top with WWE and as the NWA World Champion by defeating none other than Adam Pearce on March 6, 2011 at the NWA Championship Wrestling from Hollywood television tapings earlier this year. Earlier this year the Belt Collector would become only the third man in the history of wrestling to capture the NWA Missouri Title and the NWA Central States Championship as the same time. Harley Race and Bob Orton SR being the other two men. 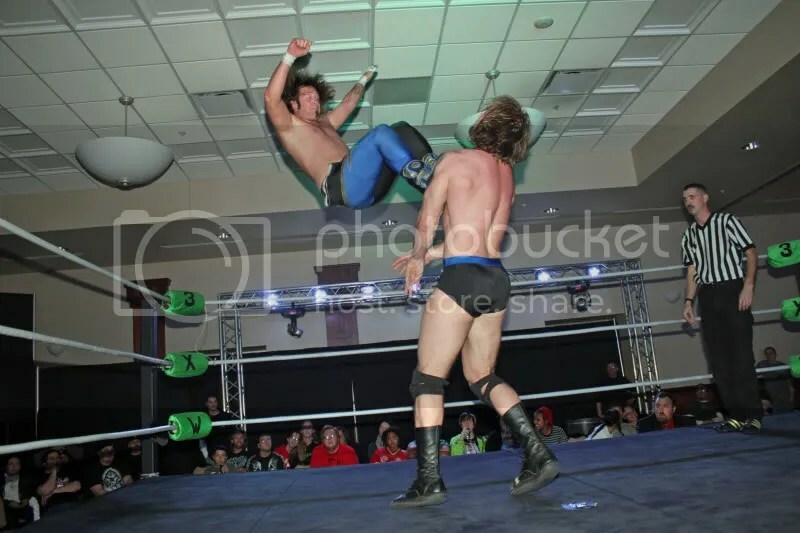 Since that time, Wyatt has been able to keep the NWA Central States firmly on his waist against the likes of Sir Bradley Charles, Trent Stone, Jimmy Rockwell, Ryan Drago and arch rival NWA Kansas Champion Tyler Cook. The greatest years in the NWA History has had the very best in the Midwest in the middle of the title hunt. Former 8 time World Champion Harley Race would bring honor, respectability and toughness not only to the NWA Title but to Japan and around the World. With momentum on his side and the great mind of Girthy in his corner is the NWA World Title poised to change hands for the first time in Kansas City since Ric Flair defeated Dusty Rhodes on September 17th 1981 nearly thirty years ago? With all the positives in this equation there is one huge problem for the Belt Collector. NWA World Champion Adam Pearce!!! Make no mistake about it, Adam Pearce is one of the top wrestlers in the world today. It is by no fluke that he is a four time NWA World champion who has sent many challengers packing who felt their time was now home wandering what if. His resume speaks for itself. Titles around the country, victories against the likes of WWE’S CM Punk, Daniel Bryan ( Bryan Danielson), Delirious, Blue Demon Jr. In a true testament of his greatness Pearce was not only able to be a force in a four-way match between Chance Prophet and Jimmy Rave and Shaun Tampers for the vacant NWA World title on August 30th but would become a four time NWA World Champion. mistake. If so the confident, ruthless NWA Kingpin will capitalize and remain the NWA World Champion. When the last bell rang at the Turner Rec Center last week a stunned Colt Cabana and Metro Pro Wrestling fans watched as Wyatt and Steven J Girthy celebrated yet another win. Metro Pro Wrestling has not announced who Pearce would defend the title against when he returns to on November 5th at the Turner Rec Center but if Girthy and Wyatt have their way then it could be the NWA Central States Champion vs. the NWA World Champion. Could history be made on November 5tth and Jeremy Wyatt was able to add his most important belt to his collection? The NWA World Championship!! 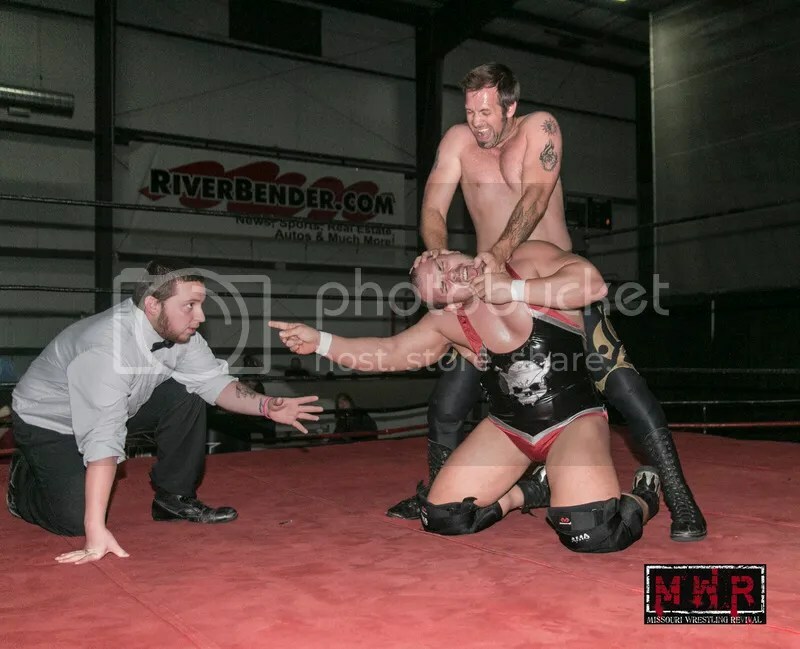 A week after capturing the NWA Missouri Championship, Jeremy Wyatt won the NWA Central States at Metro Pro Wrestling with the mastermind Steven J Girthy and Abu Colossus in his corner. In a four way NWA Central States Qualifier Match the Champion Mark Sterling defeated the former NWA Kansas Champion #1 Brett Young. 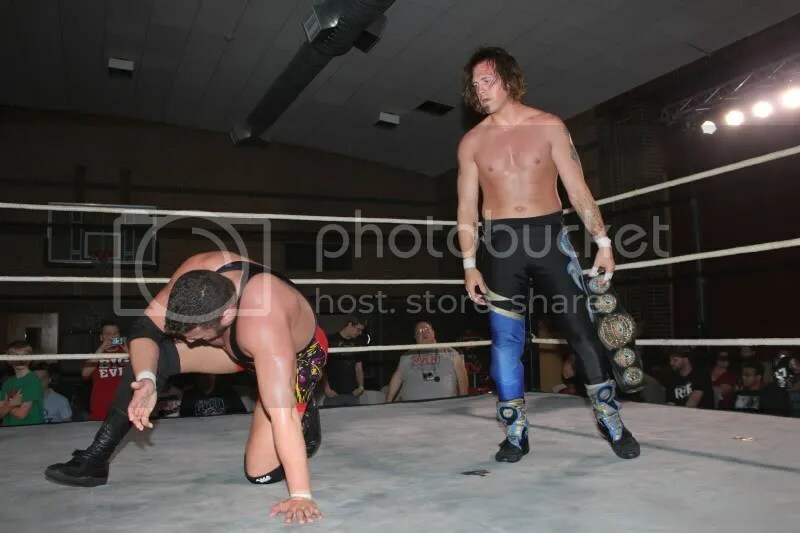 Mark would then head into a NWA Central States Four-Way Elimination Match that saw Jeremy Wyatt pinned current NWA Kansas champ Tyler Cook to become the new NWA Central States Champion after eliminating Jaysin Strife after Strife upsetSterling. 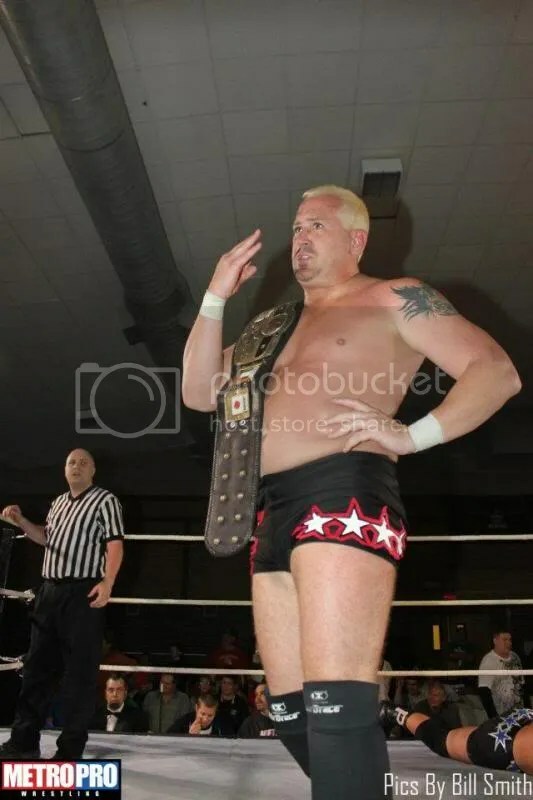 Mark Sterling won the NWA Central States Championship since 9/25/2007 when he defeated Michael Strider in House Spring Missouri. In the two years since Sterling has been a fighting champion taking on all challengers around the Central States. Steven J Girthy now has the Wyatt poised to make a run at the Metro Pro TV title or the NWA World title. Metro Pro Wrestling returns to Turner Rec Center in Kansas City, KS, on Friday, June 17 for our next television taping for Metro Sports! Doors open at 6 p.m., and bell time is 7 p.m. Check back soon for match updates for our June show! Tickets are on sale now, and a SPECIAL DEAL for our June 17 show. Kids tickets (12 and under) are $5! 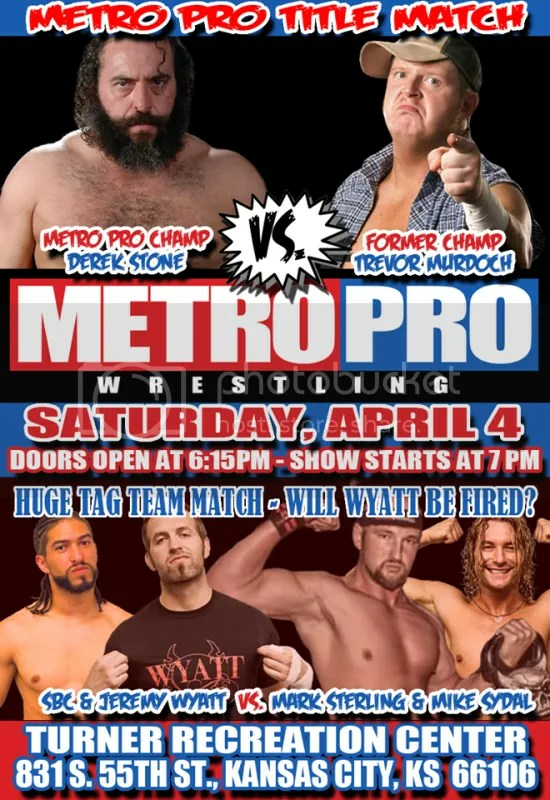 Metro Pro Wrestling airs every Saturday night on Time Warner Cable’s Metro Sports at 11 p.m. The show replays several times during the week! Check local listings for details. For more information, call Metro Pro at (816) 222-5455. 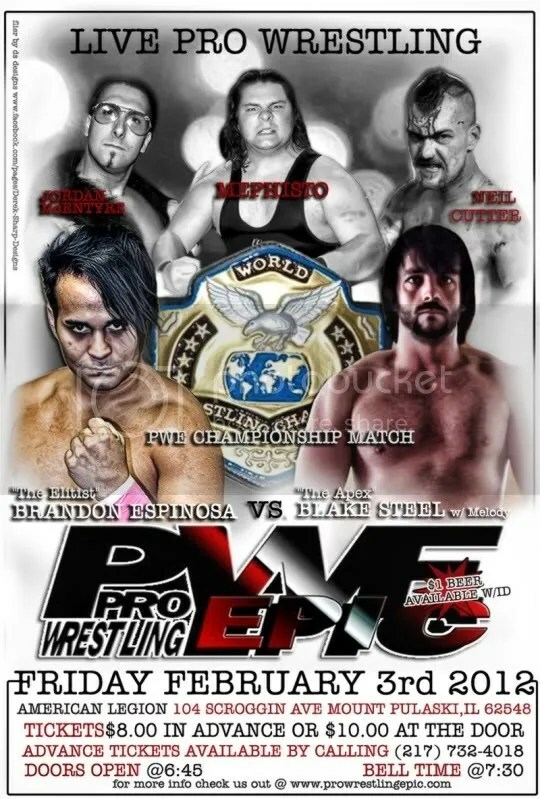 Metro Pro Wrestling returns in 2011 on January 8th at the Turner Rec Center. Kansas City wrestling fans have a lot to forward to in 2011. Metro Pro Wrestling has just announced their schedule for the upcoming year with the very first show being held on January 8th at the Turner Rec Center. 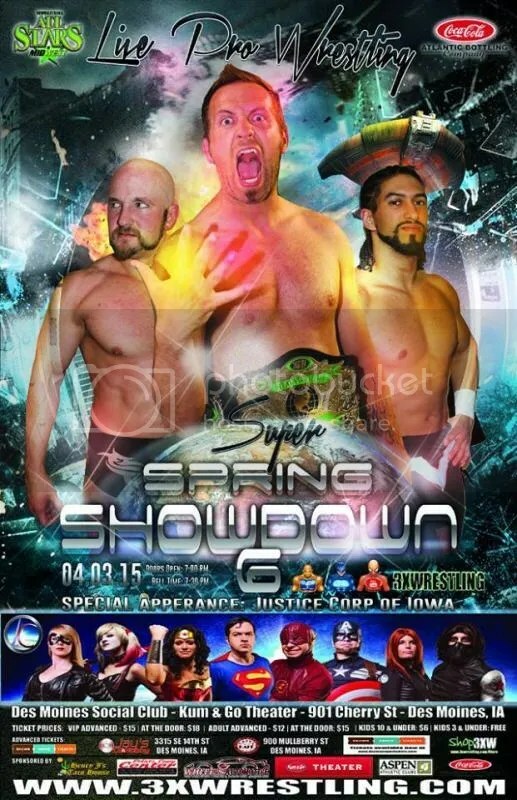 Metro pro Wrestling brings to Kansas City the very best wrestlers in the Midwest today. Catch former WWE’s and current MPW TV Champion Trevor Murdoch , Michael Strider ,“The Rebel” Jeremy Wyatt, Mark Sterling, Derek Stone, Sir Bradley Charles,” The Human Wrecking Ball” Pete Madden, Lucy Mendez, Josh FX, Domino Rivera, KWONG, Steven J Girthy and many more makes it the hardest hitting action in Kansas City. Please support wrestling in Kansas City by purchasing your tickets now for Metro Pro Wrestling’s first show of the year here.They make for great Christmas gifts for the wrestling fan in your life. You can catch all the wrestling action every Saturday night at 11pm on Metro Sports (find your channel below) with a replay on Wednesday at 11pm! Time Warner Cable’s Metro Sports is a regional 24-hour sports network. • TWC Nebraska Coming Soon! Metro Pro Wrestling returns this Saturday night in Kansas City with an exciting night of action that you will NOT want to miss. 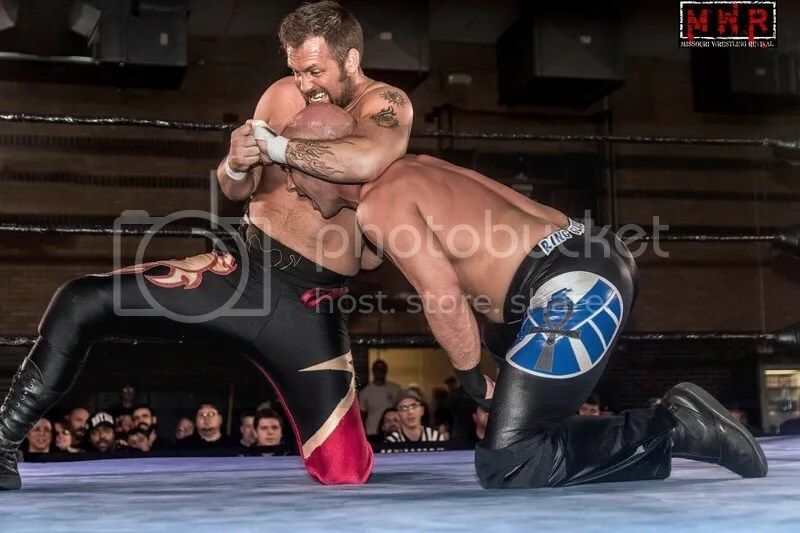 Thanks to our friends at Metro Pro Wrestling we are able to share with you the Here is the Metro Pro TV Title Finals between Trevor Murdock vs. Michael Strider. If you missed this match then don’t hesitate to get your hands on the HOTTEST ticket in Kansas City. For tickets and all of your Metro Pro Wrestling news click here. This is also a live TV Taping that you will be able to see on Metro Sports, so MWR fans wear your MWR Shirts and get LOUD!! Get your Tickets for Metro Pro Wrestling NOW- See what you have been missing!! Metro Pro Wrestling has burst into the Midwest featuring the very best of the Midwest. On November 6th they will return to Kansas City for a fun filled night that you will not want to miss. The current Metro Pro Wrestling TV Champion Trevor Murdoch will be in action as well as the return on Michael Strider. Metro Pro Wrestling has been kind enough to post two matches from their previous show to give you a small glimpse of what you are missing. In the first match we have the 2008 MWR Wrestler of the Year Jeremy Wyatt led by Steven J Girthy (CEO of the Girthy Management group) and KWONG taking on Kansas City Legend Michael Strider. For our second match we have the current MWR Wrestler of the Year Mark Sterling as he goes on one with fan favorite Derek Stone. Do not miss the opportunity to see Metro Pro Wrestling live and it is easier than ever to purchase tickets for this show by going to their website here. Metro Pro Wrestling returns on October 2 in Kansas City! October 2, inside Turner Recreation Center in Kansas City, KS. 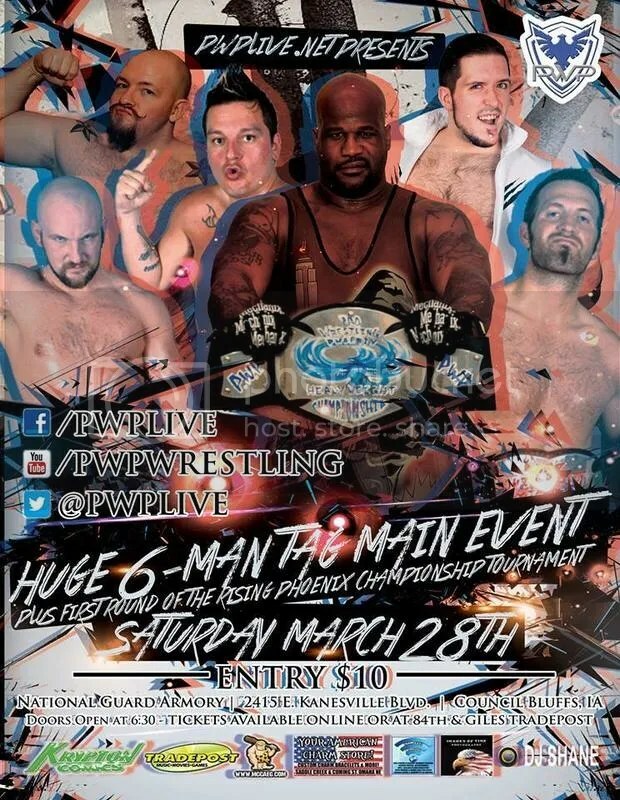 Doors open at 6 p.m. Bell time is at 7 p.m.
Tickets are $15 for adults. Children 12 and under get in for $10! You can purchase tickets at the door, or you can purchase them right now via PayPal! If you do purchase via PayPal, simply print your PayPal receipt and bring it to the event. On September 4, inside Turner Recreation Center in Kansas City, KS, the Metro Pro action returns for another television taping! Brett Young might be looking for you! The One” Brett Young has an exciting opportunity for all the lovely ladies out there. For the first time ever, Brett Young is allowing the public to apply for the role of his valet. If you think you have what it takes to accompany “The One” to the ring at Metro Pro Wrestling events, then fill out this application (here) and return it to metropromail@gmail.com. September 4 inside Turner Recreation Center in Kansas City, KS. More names to be announced prior to the show!